First Floor Apartment for 2 Adults. Unfortunately we cannot accept pets, or accommodation additional beds. Access is via front entrance lobby and staircase. 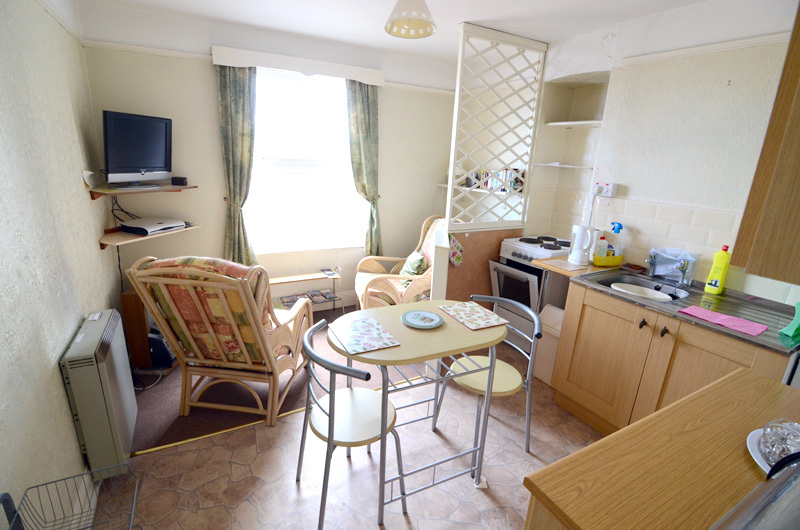 Nicely equipped with Satellite TV, radio, electric cooker, microwave, fridge, freezer, iron, toaster, spin and tumble dryer. 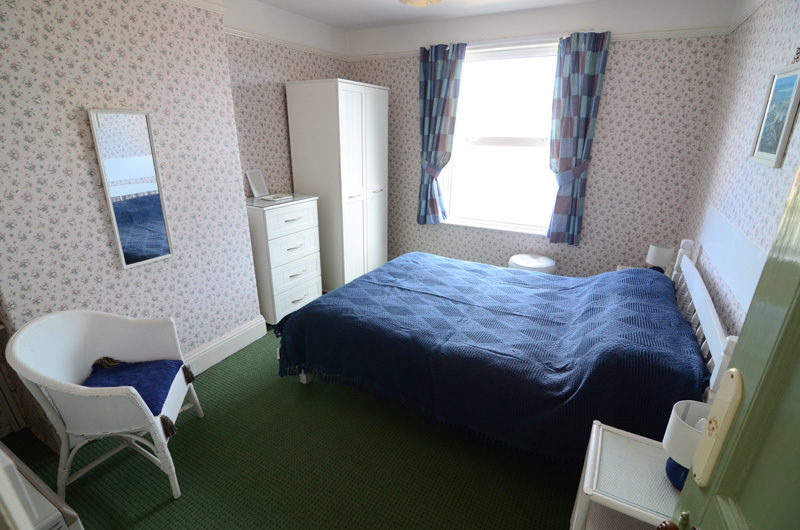 Comfortably furnished, double bed with duvet. 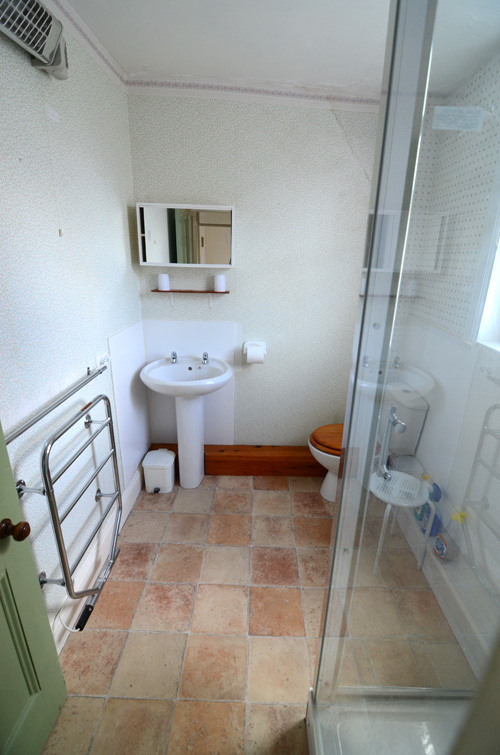 Large shower cubicle, basin, WC, wall heater, extractor fan and heated towel rail. 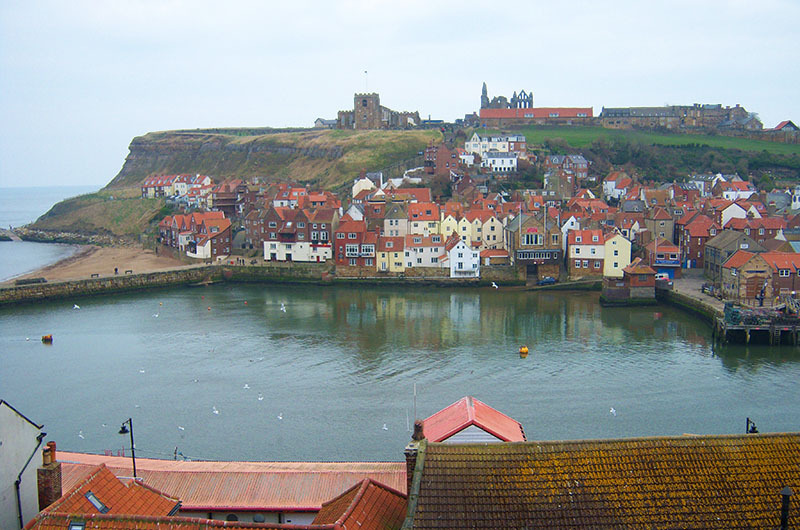 Some of the finest views of Whitby Harbour, the East Cliff and Whitby Abbey. Gas fire in sitting room, gas central heating (daytime) included for winter lets (October - April). Automatic gas-heated hot water all year-round. Electric meter takes £1 coins. Fitted carpets to all main areas. All rooms except bathroom interconnect at rear. 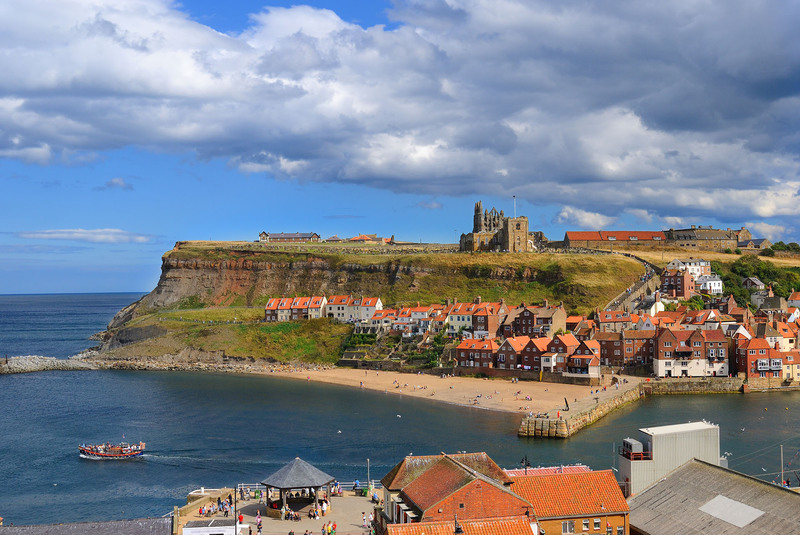 Fortnight Deduction: £10 per booking. ex - July, August & Bank holidays. Deposit Payable: on booking £40 per week. Please request using the booking form. Payment may be made with cash, cheque or online bank transfer (please phone for details). Balance Due: Four weeks before the holiday. An account will be sent. Keys: 12.30pm to 10 am. Visitor information, cleaning materials and tea making facilities for arrival provided. Fire Safety: All furniture complies with fire safety regulations. Apartment has smoke detectors, hand extinguishers and fire blanket in kitchen. Emergency exit from first floor landing with equipment. Bed Linen: Sheets, pillowcases (2 per person), duvet cover and towels not included. Bed Linen & Towel Hire: £14 per week or part week if you cannot bring your own. £8.00 towels, £6.00 bed linen. Cleaning: Essential cleaning products provided.